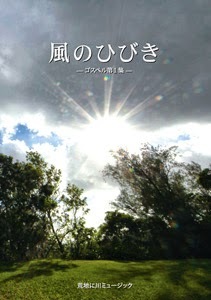 In Japan, we will publish a new Japanese original Christian songs called "A Sound of a Violent Wind". The name was given from Acts2:2 and these songs will be used in the coming revival when the Holy Spirit strongly pours in this world. There will be 78 songs in 4CDs and in the songbook. Songbook will in the market in the end of October. CD will be released in mid November.